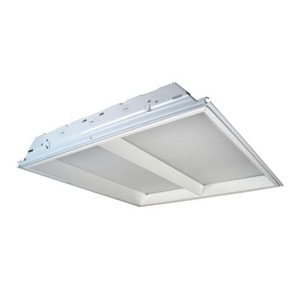 The CHRLED Series is designed for recessed applications such as offices, schools and other institutions. It offers the look and feel of a fluorescent luminaire. High reflectance optical engine delivers main beam focus through optically designed acrylic lens. Linear arrayed LED modules provide soft, effective lumination with no hot spots. Die-formed, heavy-gauge, cold rolled steel. 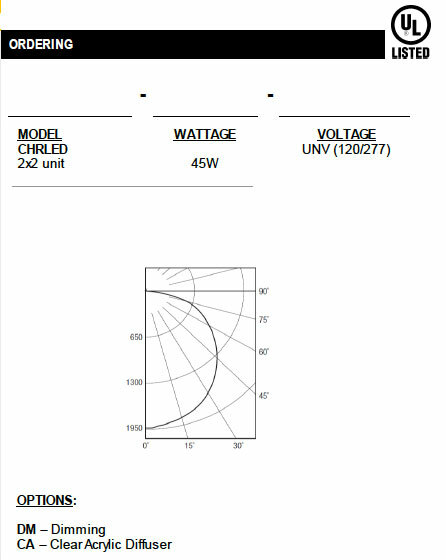 For use with standard 15/16” grid T-bar ceilings with earthquake feature. Standard in 4000K. Consult RLE for other Kelvin temperatures. The Lumieo® acry lic diffuser center “V” adds character to the optical assembly. Matte white, high reflectivity powder coat finish.